Thought I'd never come back, did you? Hah! I've been stitching like a mad woman (tons of hexies, two blouses and a machine pieced quilt top) and finally managed to get out and photograph another batch of hexies while I was at it. And because the name of the parenthood game is multitasking, I did it while walking the baby, the dog and the husband to and playing at the playground. 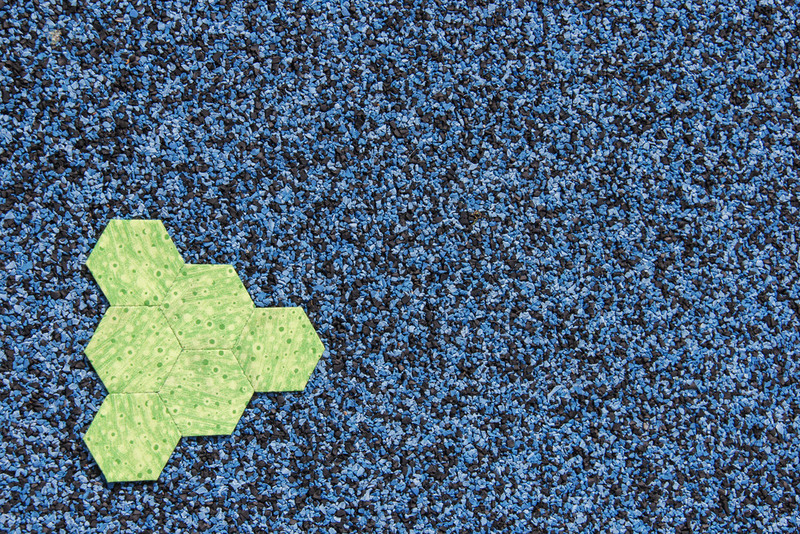 I'm a little obsessed with how well the blue of the rubber flooring goes with the neon green of the hexie. A match made in 80's heaven. It'll be back to regular posting from here on out. Thanks for stopping by!